Sarah Nader- snader@shawmedia.com Talia Fattahian. 7, of Algonquin dances to the music while throwing scarves in the air during an interactive show performed by Mary Macaroni for toddlers and preschoolers at the Algonquin Area Public Library Monday, January 11, 2016. Macaroni performed songs, magic tricks and completed a craft with the children while parents attended Preschool Information Night. 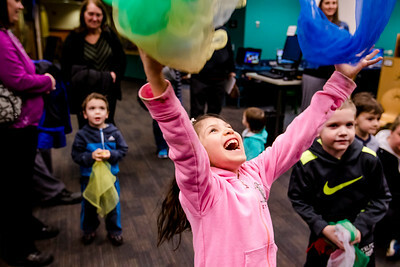 Sarah Nader- snader@shawmedia.com Summer Milostan, 4, of Crystal Lake reacts to a magic trick performed by Mary Macaroni during an interactive show for toddlers and preschoolers at the Algonquin Area Public Library Monday, January 11, 2016. 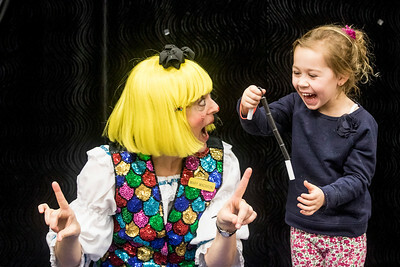 Macaroni performed songs, magic tricks and completed a craft with the children while parents attended Preschool Information Night. 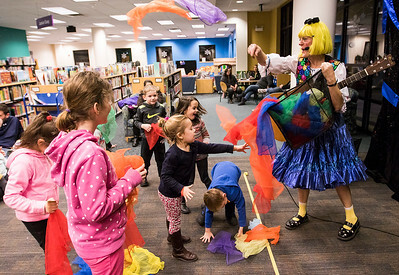 Sarah Nader- snader@shawmedia.com Mary Macaroni performs an interactive show for toddlers and preschoolers at the Algonquin Area Public Library Monday, January 11, 2016. Macaroni performed songs, magic tricks and completed a craft with the children while parents attended Preschool Information Night. 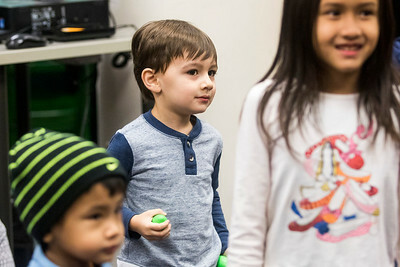 Sarah Nader- snader@shawmedia.com Alexander Esparza, 3, of Lake in the Hills dances to the music with shake shakers during an interactive show performed by Mary Macaroni for toddlers and preschoolers at the Algonquin Area Public Library Monday, January 11, 2016. Macaroni performed songs, magic tricks and completed a craft with the children while parents attended Preschool Information Night. 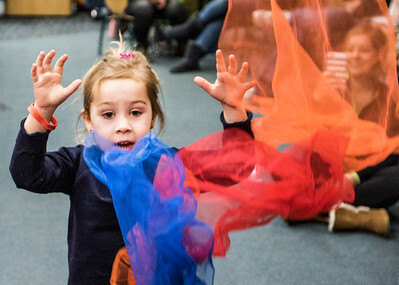 Sarah Nader- snader@shawmedia.com Summer Milostan, 4, of Crystal Lake dances to the music with scarves while attending an interactive show performed by Mary Macaroni for toddlers and preschoolers at the Algonquin Area Public Library Monday, January 11, 2016. Macaroni performed songs, magic tricks and completed a craft with the children while parents attended Preschool Information Night. 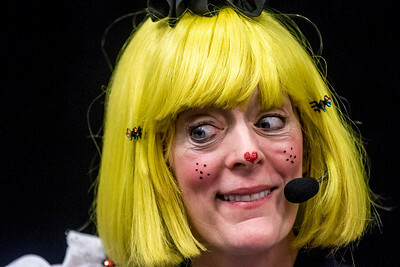 Mary Macaroni performs an interactive show for toddlers and preschoolers at the Algonquin Area Public Library Monday, January 11, 2016. Macaroni performed songs, magic tricks and completed a craft with the children while parents attended Preschool Information Night.